armers like genetically modified (GM) crops because they can plant them, spray them with herbicide and then there is very little maintenance until harvest. Farmers who plant Monsanto’s GM crops probably don’t realize what they bargain for when they sign the Monsanto Technology Stewardship Agreement contract. One farmer reportedly ‘went crazy’ when he discovered the scope of the contract because it transfers ALL liability to the farmer or grower. G. Edward Griffin, author of ‘The Creature From Jekyll Island’, and numerous other books and documentary films, and Anthony Patchett, retired assistant Head Deputy District Attorney, Los Angeles County Environmental Crimes/ OSHA Division explain the consequences of the Monsanto contract in the video below. This includes contamination of other farms. Growers are purchasing seed for Spring planting right now. Alfalfa, America’s 4th largest crop, is a particular problem because it is a perennial plant and the seeds may lie dormant in the ground for 10-20 years, and WILL contaminate non-GM plants. 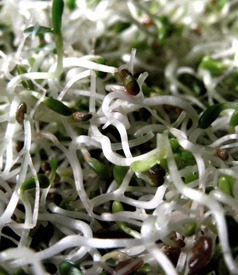 Contaminated alfalfa cannot be recalled from the environment. The liability burden can follow the grower for decades. Farmers must be made aware of the danger of being sued before they plant GM crops (especially alfalfa because it is used for cattle feed and will affect dairy farmers). Environmental attorney Anthony Patchett further elaborated on Monsanto’s contract in a letter that states “Monsanto’s agreement shifts all liability to the growers, including contamination issues or any potential future liability. 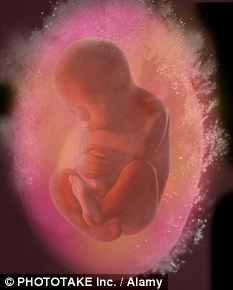 All the grower receives is the price of the seed.” He further stated that this contract appears to be “Unconscionable”. Click here to view the letter. For more information about the perils of contamination, please go to MorphCity.com to read the interview with alfalfa seed grower Phil Geertson who opposed Monsanto in the GM case heard in the Supreme Court last summer. Geertson said that Monsanto’s GM seeds are more expensive and after a few years, weeds can become tolerant to Roundup Ready and other glyphosate herbicides so farmers must return to conventional farming practices anyway. Therefore, there is no benefit to planting GM crops. 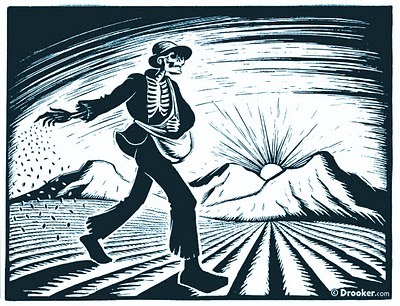 You can alert farmers to the hazard of growing GM crops and how growers can be hurt by Monsanto’s contract, if you would like to take action in opposing GM crops. Please share this article and video. 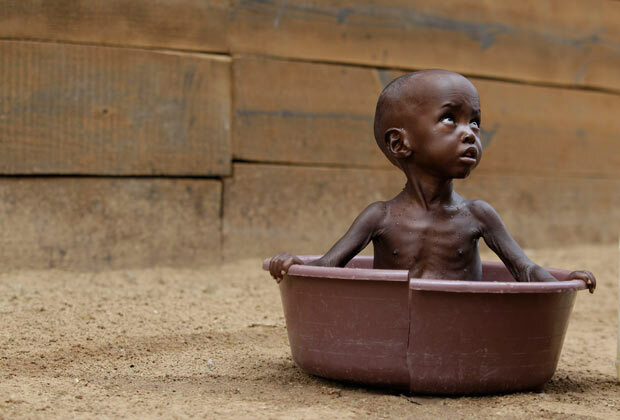 Oldspeak: ” ‘There’s nothing they are leaving untouched: the mustard, the okra, the bringe oil, the rice, the cauliflower. Once they have established the norm: that seed can be owned as their property, royalties can be collected. 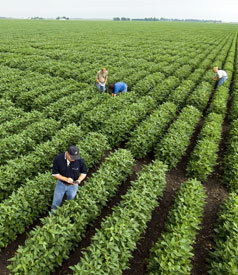 We will depend on them for every seed we grow of every crop we grow. 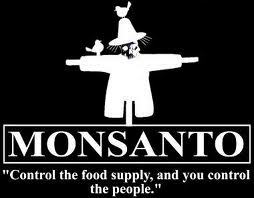 If they control seed, they control food, they know it – it’s strategic. It’s more powerful than bombs. It’s more powerful than guns. This is the best way to control the populations of the world.’ – Dr. Vandana Shiva. 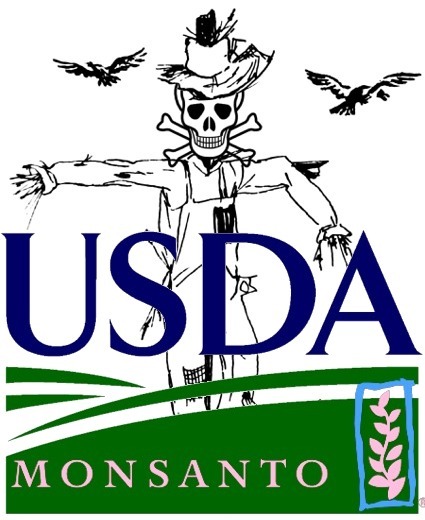 The US Department of Agriculture (USDA) has approved plantings of three genetically engineered (GE) crops in as many weeks, including Monsanto Co.’s Roundup Ready sugar beets and alfalfa that are engineered to tolerate Roundup Ready weed-killing herbicide. Plaintiff attorney Paul Achitoff from the environmental group Earthjustice said the USDA’s decision to allow plantings of the sugar beets under “lax conditions” violates federal law. However, the USDA said the beets pose no “plant pest risk” and farmers can start planting them before a final Environmental Impact Statement is issued in 2012. Roundup Ready alfalfa was legalized without any restrictions on January 27 after nearly five years of legal battles that pitted farmers and GE critics against the USDA and Monsanto. The USDA disappointed GE critics again last week when it fully deregulated Swiss agribusiness giant Syngenta’s Event 3272 GE corn. The corn is genetically engineered to produce an enzyme that converts starch to sugar, making it easier to process the corn and turn it into the biofuel ethanol. The North American Millers Association (NAMA), a normally pro-biotech organization that represents 170 agricultural mills in 38 states, is concerned that Event 3271 kernels could accidentally mix with corn meant for food processing and damage the quality of food products like snacks and breakfast cereals. “USDA has failed to provide the public with sufficient scientific data on the economic impacts of contamination on food production, or information on how USDA will ensure Syngenta’s compliance with a stewardship plan,” said NAMA President Mary Waters. Bill Freese, GE critic and policy analyst at the Center for Food Safety (CFS), said that the USDA should to take a closer look at Syngenta’s track record. A 2004 investigation conducted by the Environmental Protection Agency (EPA) confirmed that Syngenta had illegally distributed GE seed corn engineered to produce an unregistered pesticide on over 1,000 occasions to farmers in the US, South America and Europe. The EPA fined Syngenta $1.5 million in 2006 for distributing the seed corn, which produced a then unregistered pesticide called Bt 10. 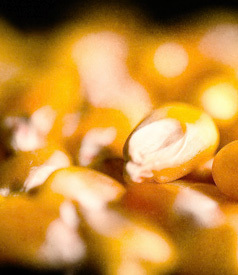 The USDA did not classify Event 3272 corn as a crop grown to produce an industrial compound during its review of Syngenta’s petition to legalize the corn, and NAMA argues that the agency would have completed a more thorough scientific review of the product if it regulators classified it as industrial. A USDA spokesperson told Truthout that Event 3272 is not considered an industrial product crop because its extra genetic traits turn starch into sugar, not ethanol itself. Syngenta’s own recently released data shows Event 3272 would have “adverse impacts” on food quality if it entered the conventional corn supply, according to NAMA. NAMA spokesperson Terri Long said the millers’ association is concerned about food product quality and not Syngenta’s past violations. Freese said that Event 3272 is supposed to be used for domestic ethanol production, but Syngenta has applied for import approvals for Event 3272 in nations where the US exports corn. Freese said Syngenta is trying to avoid liability in case Event 3272 does contaminate the domestic corn supply. Freese and CFS helped represent plaintiffs in the lawsuits against the USDA that challenged initial approvals of Roundup Ready alfalfa and sugar beets.